*Disclaimer: I received this wine as a sample from Wines of Germany. I’m in a Riesling state of mind…okay, well, not really, but they are among the wines I’m drawn to when the weather heats up. Oh, who am I kidding, I’m always drawn to wine! But really, the folks from the Wines of Germany have been sending me bi-monthlyish Riesling shipments, so I’ve been drinking a little bit more of it than normal. 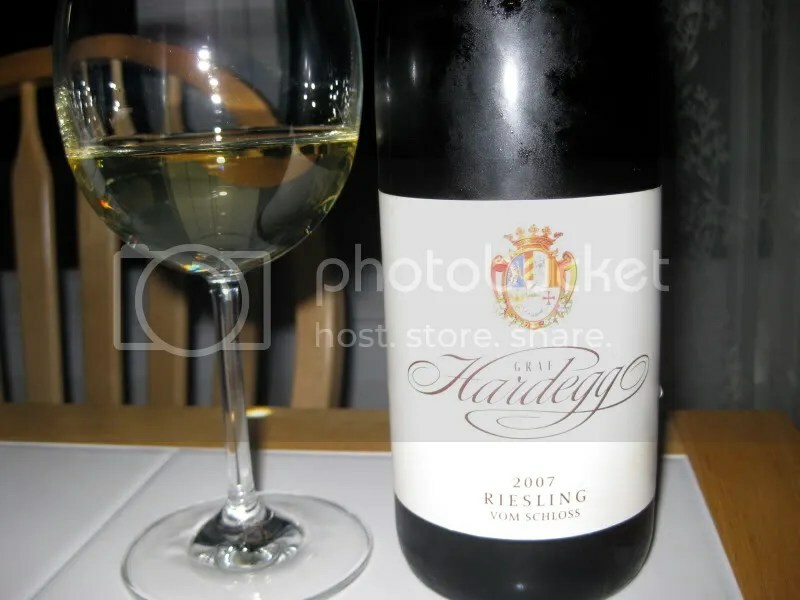 Tonight I chose the 2007 Graf Hardegg Vom Schloss Riesling. It had a real cork, clocked in at 12.5% alcohol by volume, and appears to retail for around $19. On the nose I got lime, minerals, wet stones, kiwi, melon, and apricot. 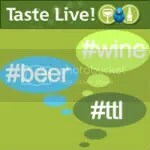 In the mouth I found lemon, lime, melon, stone, tropical notes, white peach, and flowers. I found the wine to be light and crisp, and extremely easy to drink. We had this on its own before dinner the other night and it really whet our appetites. Which region is this from? As a Riesling fan, it helps to know its origin. Thanks! I clicked on the comments to ask the same question as Evan did…so ditto his question. I love Riesling during the summer months as I tend to eat foods with a bit more kick of spice with them. I do not often have them as a pre-dinner wine as you did but that is an excellent idea. I agree there is just something about summer that begs for Riesling…oh and Viognier for me. Riesling is one of the few white wines that I enjoy drinking, it pairs well with tons of great food and usually (at least in my experience) isn’t too harsh, so its sure to please all types of palettes if you are having a party. I’m a big fan of Rieslings too. For some odd reason I usually taste pear in them but nobody else seems to. Actually, even though the Wines of Germany sent this to me, it’s from Austria!